Scott graduated from Winthrop University with a Bachelor’s degree in Psychology. 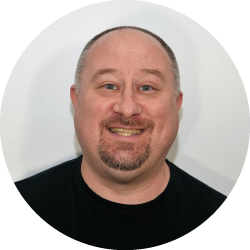 Mr. Laughlin has over 20 years of experience in behavioral health care and has worked with children, adults and families in outpatient, day treatment, residential, and community-based settings. Scott’s role is Office Coordinator and is a valued member of the Administrative Team at Palmetto. Known for his pleasant, personable and helpful demeanor, Scott is the first point of contact and helps clients with intake and referral process, assists with insurance questions, and attends to many other important administrative functions to help the practice run smoothly and efficiently.